This week feels so weird with the holiday right in the middle. I woke up on Thursday wishing clients a happy Monday and it took almost a whole day to figure out what was going on. My week was pretty light — I tweaked my back some on Tuesday, so I’m taking the rest of the week off, I took Donut to get her yearly shots, and I’m carving out some time today to keep plugging away on the book. The weekend is pretty light, but we are making a return trip to IKEA for some more things. Hopefully I can avoid putting more plants in the cart, but time will tell. Here are some of the things I’ve been loving this week — let me know some of yours in the comments! 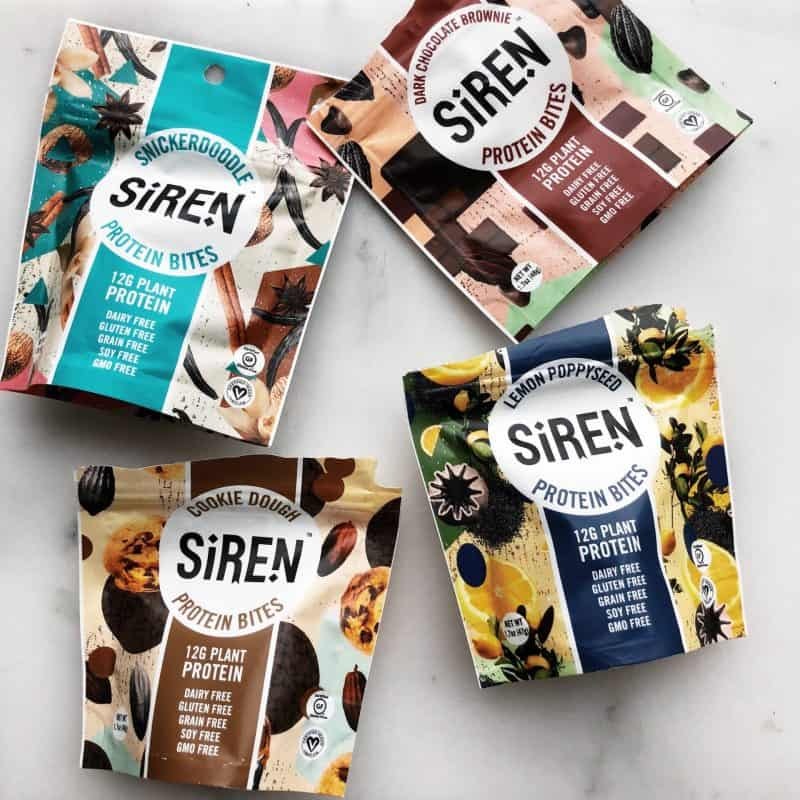 I was recently sent samples of these Siren Protein Bites and while I am all for health, I don’t really have any dietary restrictions that would lead me to need snacks that are dairy, gluten, grain, soy, and GMO-free. That being said, there are many people who do, so I wanted to share these with you. I ate the brownie flavor immediately and Neil and I are now on our third bag of them. To be fair, the consistency reminds me a little of the chewy treat that I give Donut, but they definitely taste much better. 🙂 If you’re looking for any snacks that fit these parameters, I’d give these a try because the flavor is good! 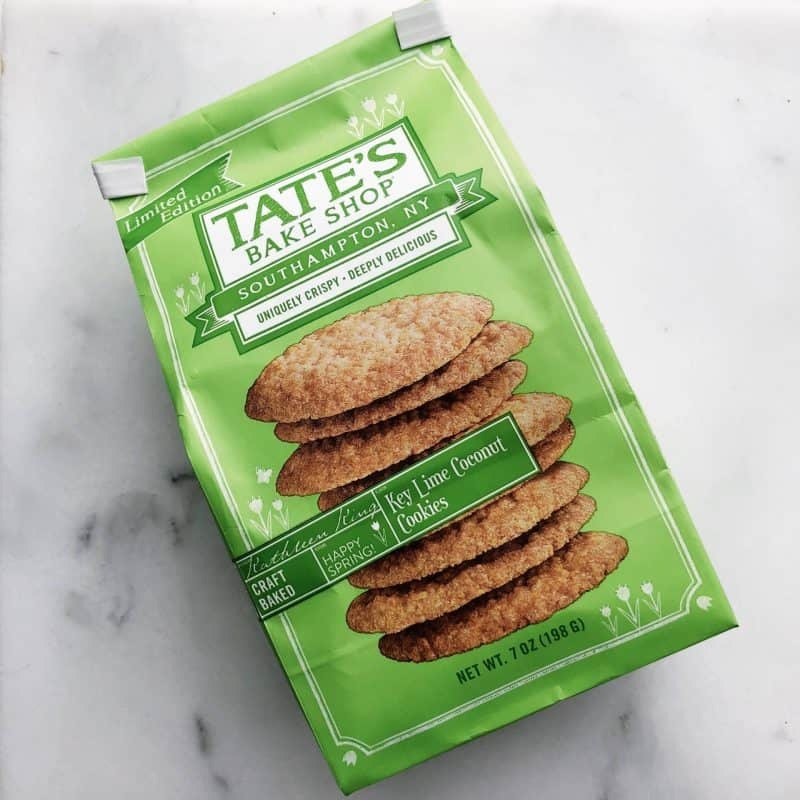 I was alerted to these key lime coconut flavored Tate’s by a couple people, so of course I went on a hunt to find them. They’re a good, light, summer cookie, but not one that I’m going to eat the entire bag of (I can not attest this for you as one my followers told me she did). Chocolate chip is still my fave, but give these a try for sure. They’re a limited edition, so GET ON IT. If you’ve been following along on Instagram, you know that Neil and I have been slowly redecorating our condo. I’ve been talking about getting plants for this corner FOREVER, but all the ones I would find in the city were over $100 and my brain simply wouldn’t allow me to spend that kind of money on a plant I may *potentially* kill. We went to IKEA last weekend and they have an assortment of real and artificial plants to choose from. These three are real and fingers crossed that I can keep them alive. They were about $25 per plant and the potters ranged from $15-$25 per piece. I needed to get stands for the plants because when they were all the same height, it just looked like a weird mess of leaves. 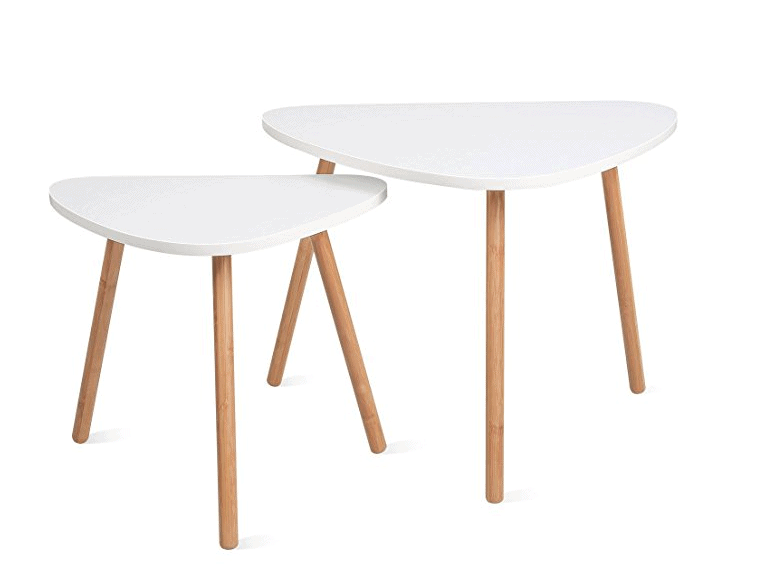 Neil found these nesting tables on Amazon and they are AMAZING. 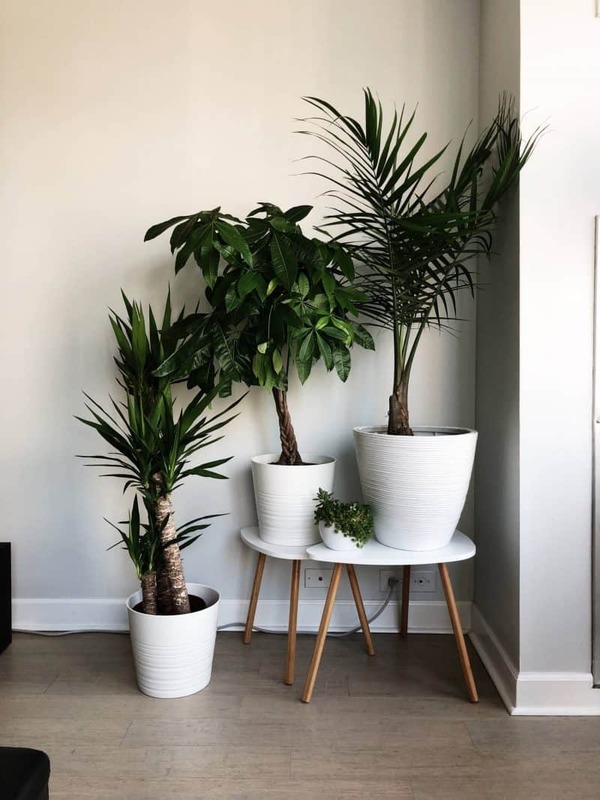 You can choose from triangle, which we got for the plants, or round, which we got for my nightstand. The second round one is currently serving as my photo table and I couldn’t be happier with them! 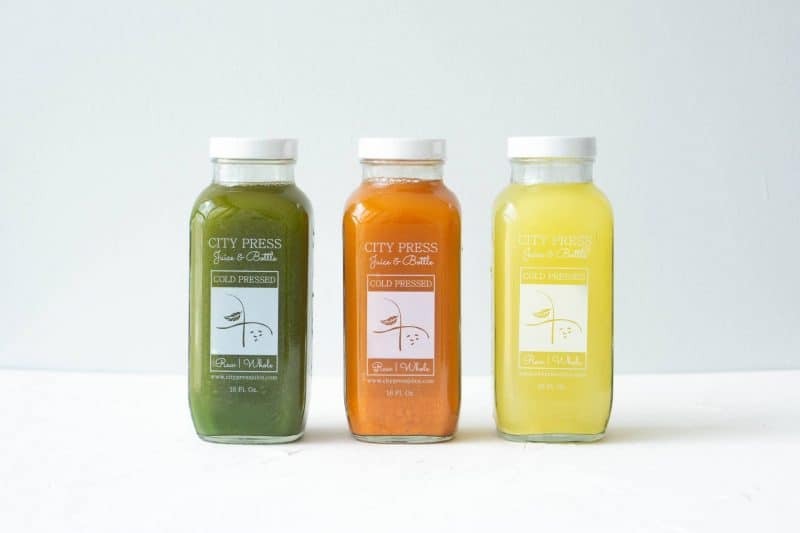 I’m working with a local juice company, City Press Juice, to offer a giveaway on Instagram next week. To be able to practice what I preach, I’ve been drinking a different juice every day for about a week now. It’s not a habit that I can really afford indefinitely on a daily basis, but after meeting with the owner and learning more about the company, it’s something that I want to try and do more of. A lot of my wariness about spending money on juice came from the fact that I didn’t really see the necessity. Many juices that I see are very fruit-focused, which isn’t something I’m really interested in adding to my sugar intake (hey gummy bears). City Press is very green and vegetable-focused and they taste so much better. I also learned that there is a loophole for cold-pressed juice companies to be able to use the label, but not actually offer cold-pressed juices. They are initially cold-pressed, then run through a hot/warm water bath, which deactivates many of the beneficial properties of the juice but makes them last longer on the shelf. Not cool juice companies. City Press doesn’t do that, which means that they have a shorter shelf life, but are actually better for you. With around 2 lbs of produce in each bottle, I’m pretty impressed. And that’s it folks! Have a great weekend and I’ll see you Monday!